Hey everyone, I hope you're all having an amazing week! Todays post will be on one of the kits that the company KISS sent me to review on my blog. So this is the KISS Salon Secrets Nail Art Starter Kit. It comes with 6 different kinds of loose glitter, 3 types of nail art brushes, 1 dotting tool, a orange stick, striping tape, 2 packs of nail stickers, a bunch of rhinestones & the Kiss nail art top coat. So for my first nail art creation with this kit, I used some of the white iridescent loose glitter & the nail art fan brush. So first thing I did after applying a base coat, was applied two coats of China Glaze Custom Kicks. Once it was completely dry, I applied a coat of the KISS top coat. Then I put a bit of the white iridescent glitter on my desk & using the nail art fan brush, I picked up a tiny bit of the glitter with the brush. & Then light dusted the glitter on tips of my nails, making sure the brush did not touch the wet top coat. Then I did it again but allowed the glitter to go a little higher then just the tips of my nails. & that is how I got this glitter gradient manicure, using loose glitter. Once dry I applied the top coat again to make sure the glitter doesn't fall off. So for my second creation I used the green holographic loose glitter, nail art fan brush, the striping tape & the Kiss top coat. So once again after applying my base coat, I applied two coats of OPI Uh-Oh Roll Down The Window. Once the base colour is completely dry, I applied the striping tape across my nails about 5-6mm up from the tip of my nail. I applied the Kiss top coat to the tips of my nails & using the fan brush & green glitter I applied the glitter onto the wet top coat. Then I patted the glitter down & removed the striping tape. Then I waited a couple of minutes & applied the top coat. I really enjoy this kit. It'd be good for anyone really. 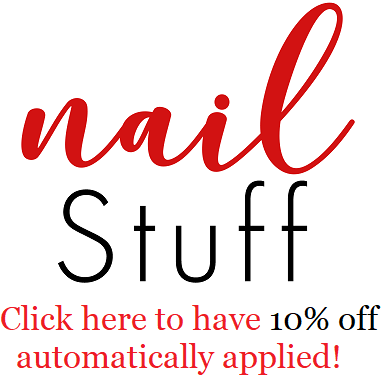 Someone who already knows how to do a bunch of different nail art styles using different techniques or even a beginner who just discovered their passion for nail art & wants to learn more. these are fantastic looks! i have tired a kiss top coat and it was awesome. I have a couple sets by them I am testing/reviewing soon :) so much fun to dabble in nail art!